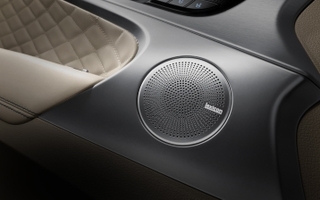 HARMAN has partnered with Lotus Engineering to develop the HALOsonic Suite of technologies. These technologies tackle the acoustic challenges within traditional, electric and hybrid cars. Together, HARMAN and Lotus Engineering have created a set of tailor-made sound solutions comprising Electronic Sound Synthesis (ESS), Engine Order Cancellation (EOC) and Road Noise Cancellation (RNC). The increase of fully electric and hybrid vehicles has changed the acoustic experience in and around a car. On one hand, the silence of the electric drivetrain means that pedestrians miss familiar acoustic cues warning them about an approaching vehicle. And on the other, the “downsized” engines have diminished the audible cues available to the driver. HARMAN engineers have set out to address these sound related issues and improve the driving experience. To improve pedestrian safety around electric and hybrid vehicles, a specified electronic sound is created and projected from speakers at the front and rear of the vehicles, giving an early warning signal. This signal increases pedestrian awareness of an approaching vehicle and helps gauge how fast a vehicle is approaching or how close it is. 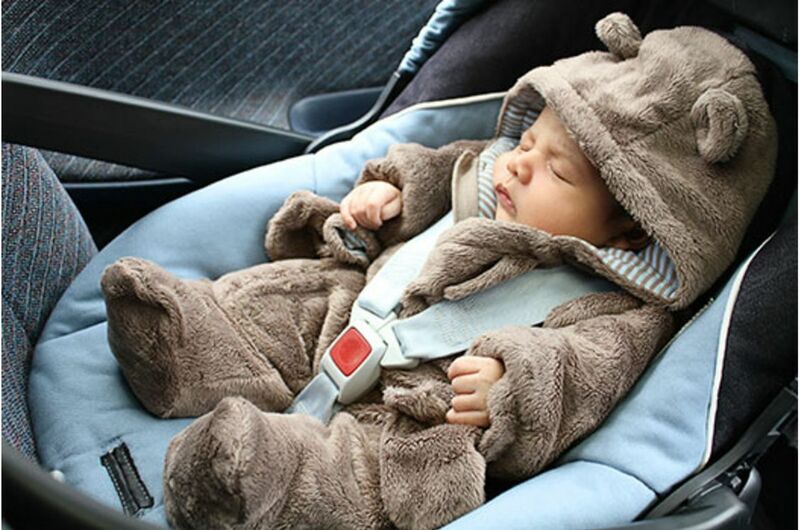 This also helps automakers to comply with government safety regulations in the US and Europe. To improve the driving experience, this technology enables sound contouring inside the cabin by creating speed and throttle-dependent sounds through the standard speaker system. The system delivers improved engine feedback and makes the driver feel connected to the car they drive. An exhilarating engine sound is a very emotional element of the overall driving experience. With the ongoing reduction of engine sound, these valuable cues are hard to detect. 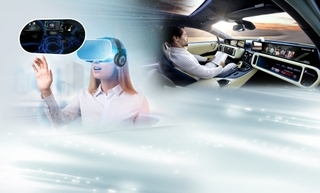 HARMAN has developed technologies to ensure the driving experience is as quiet as possible. Unwanted noise can ruin a driving experience, mask conversation, or make it difficult to communicate through Bluetooth. HARMAN has identified these unwanted sounds and developed a suite of noise cancellation technologies to reduce noise intrusion significantly. Noise produced by the internal combustion engine and exhaust components can be substantial. Traditional reduction methods have involved the use of noise dampening material, which adds weight and translates to higher CO2 emissions and poorer performance. EOC controller uses the engine RPM signal as a reference to generate a sound wave that is opposite in phase to the noise wave. In addition, error microphones mounted in the cabin allow for fine tuning of the cancellation signal at each occupant position. HARMAN’s Road Noise Cancellation technology eliminates unwanted noises. The RNC controller uses reference signals received from accelerometers to predict noise wave transfer and generate an anti-noise wave. Highly sensitive error microphones inside the car help fine tune the cancellation signal. HARMAN uses its patented True Audio technology to ensure that only unwanted engine or road noise is cancelled, while preserving music signals in a similar audio range. RNC can also help reduce the use of conventional sound deadening material and thereby lower weight. As a result, fuel consumption could be improved and CO2 emissions could be reduced – decreasing environmental impact without compromising on vehicle noise levels. HARMAN technologies are at the forefront of sound development. 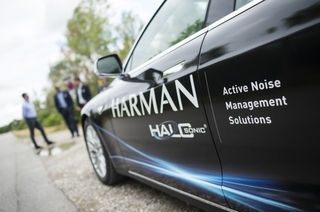 Whether it is tackling unwanted noise, enhancing engine sound, cancelling side effects of combustion engine operation or generating bespoke sounds for electric vehicles, Harman is the first choice in audio excellence. The HALOsonic suite frees the way for your audio system to do its job – deliver crystal-clear sound that is as life-like as being there. HARMAN’s noise management solutions create a better, calmer and more relaxing environment in which you can enjoy the sounds you want to hear – your music.